A few weeks ago, on a sunny-day casual Turkey hunt, I discovered this 2006 Russell’s Reserve 10 Year Old Bourbon way back on a shelf full of 2010-2014 label bottles. Prior to 2005, Russell’s Reserve 10-year was 101 proof and of a different design altogether. Those bottles are now long gone, but if you’re lucky like me, you can still find the “brown label” 90-proof versions from 2005-2009 in the wild. What’s so special about finding these particular bottles? Isn’t it just plain old Russell’s 10? The answer is … it depends. If you want something truly special, you’ll need to find bottles from the first two years of production (2005-2006), where the glass lacks embossing and the laser code is printed in black on the back paper label. These were bottled at Lawrenceburg, Indiana (Pernod Ricard bottling facility). Laser codes on the glass itself will indicate bottles filled in Fort Smith, Arkansas (see Wild Turkey Timeline). While there may be Russell’s Reserve 10-year bottles after 2006 that have similar whiskey to the first two years, I’ve yet to hear of one. That said, this may also give credence to some “bottled by” conspiracy theories, though I’m personally not in that camp. 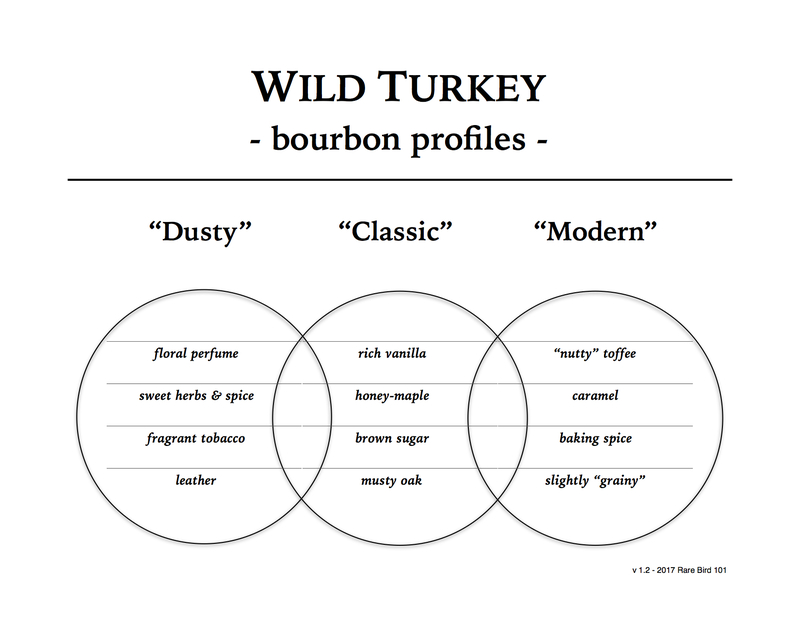 Overall: This bourbon is in many ways the essence of old Wild Turkey. Rich vanilla? Check. Thick maple/toffee? Check. Musty/funky oak? Check. Fragrant herbal/floral spice? Check. Dusty bottle vibe? Hell check yes. I’ll be very honest, this is one of my favorite Wild Turkey expressions out there – even at 90-proof. Is it “Cheesy Gold Foil” level? No, but it is definitely mature and has some of the best parts of the CGF profile in moderate doses. In fact, this 2006 Russell’s Reserve 10 Year Old Bourbon tastes almost exactly like my 2003 Wild Turkey 101/12 export – even with an 11 point proof difference! Trust me. I had to side-by-side compare to confirm, but I speak the truth. Hard to believe how good $34 retail can taste – a bonafide blast-from-the-past diamond in the rough! first off, let me say that i’ve recently come across your site the last few months as i dive head first into whiskey and bourbon beyond the level of a casual enthusiast, and i want to say thanks for all the info, its been a great read and i’ve learned alot. second, just picked up a bottle of this from my local store. my first dusty in fact, and obviously i was stoked to read your favorable review. based on all the info i’ve dug up online including your site my bottle is indeed one of the “first two years” bottles! Thanks so much for checking out my site. I truly appreciate you commenting as well. As for Russell’s 10-year … 2005-2006 “non-embossed” bottles with the old black ink bottle code stamp are basically 101/12 profile KSBW. My belief is that they were simply batched from under-proofed barrels that couldn’t be used for export 101/12, so into RR10 they went. By the time the glass and code changed (to embossed and lasered) the profile had notably thinned out (possibly because they contained whiskey that was aged at the Old Crow stone rickhouses – another story altogether – see my WT Timeline). Post ’05/’06 RR10 is enjoyable as a daily sipper, but nowhere near what came before. As for recent RR10, I wrote an article comparing it and modern WT101 a few months ago. Both are great daily sippers in their own way, but again … the very early RR10/90 are truly special. yep, my bottle is indeed a black ink stamp, code L1226016 which I believe makes it a bottle from March 2006… can’t wait to try it! For what it’s worth, I’ve liked the 2006 black ink, non-embossed bottles a little better than the 2005’s. Just a touch – and the color is a slight shade darker on the ones I’ve compared. Still, I’d take either year in the blink of an eye.